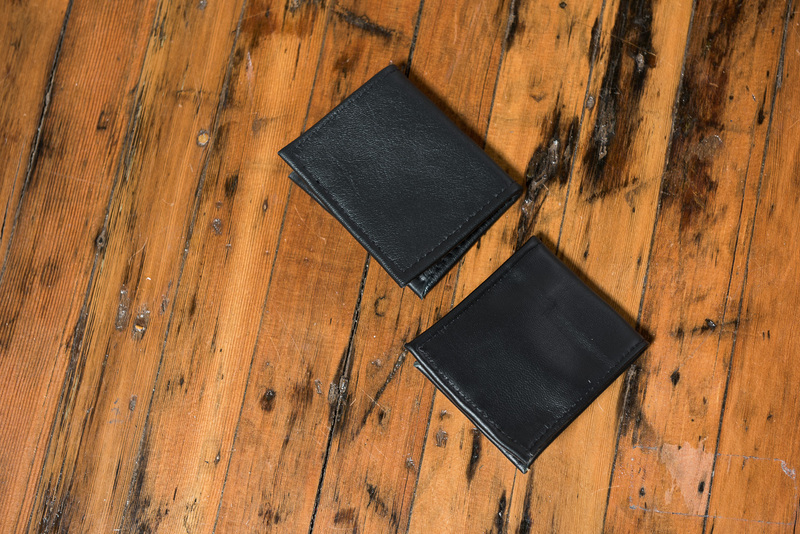 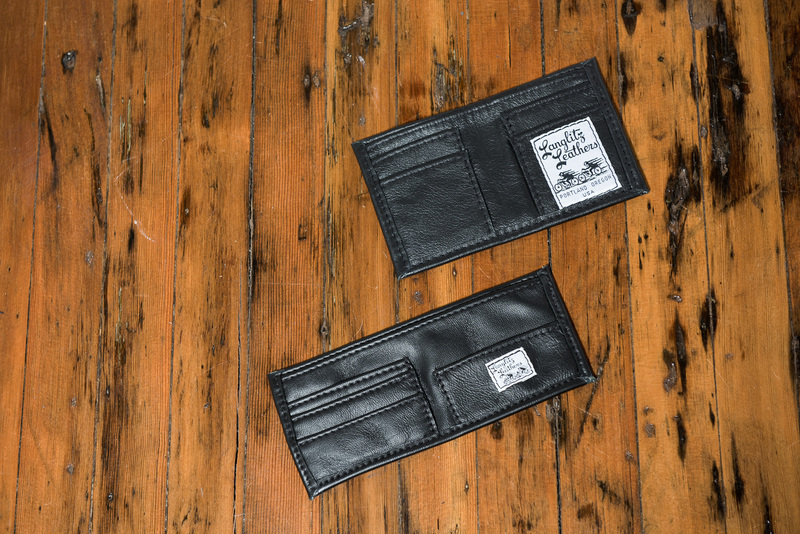 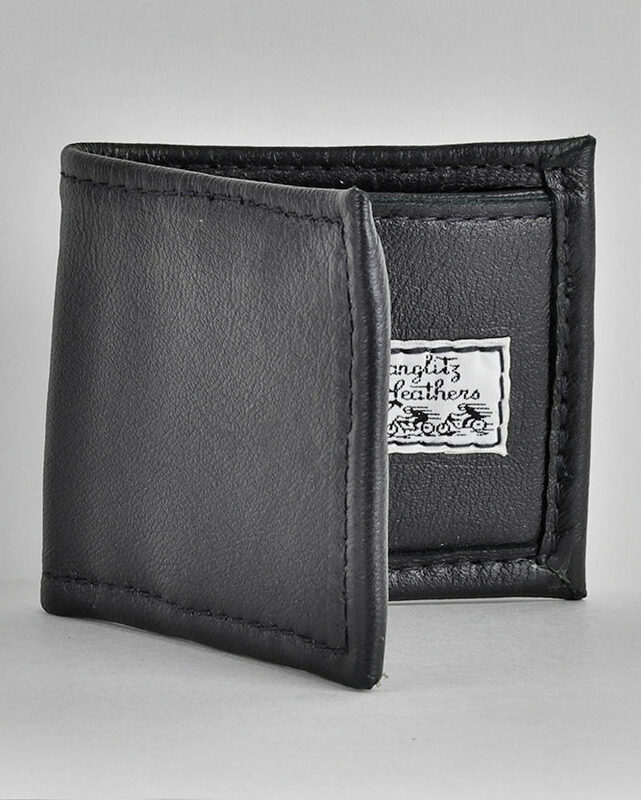 Our wallets are made of the same goatskin we use for our motorcycle leathers, so you know that, besides being the most comfortable, form-fitting wallet you’ve ever had in your pocket, it’s also the toughest one. And of course, you are welcome to pick and choose colors of leather and thread! 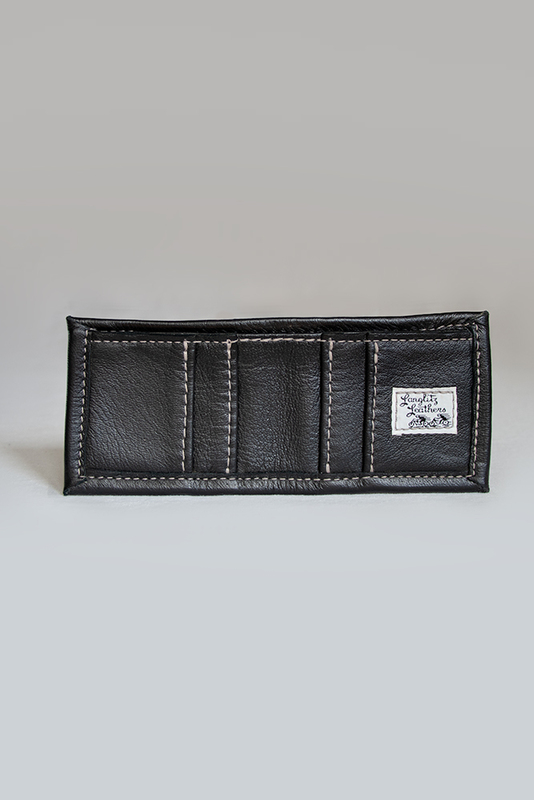 The Dave’s Wallet holds cash and has divided pockets to hold ID and cards vertically. 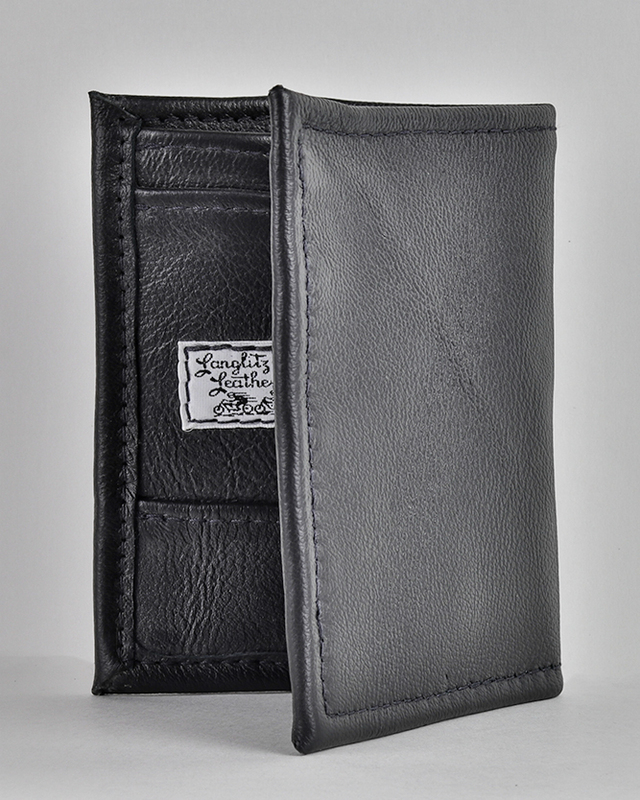 The Lazy-D holds the cards horizontally. 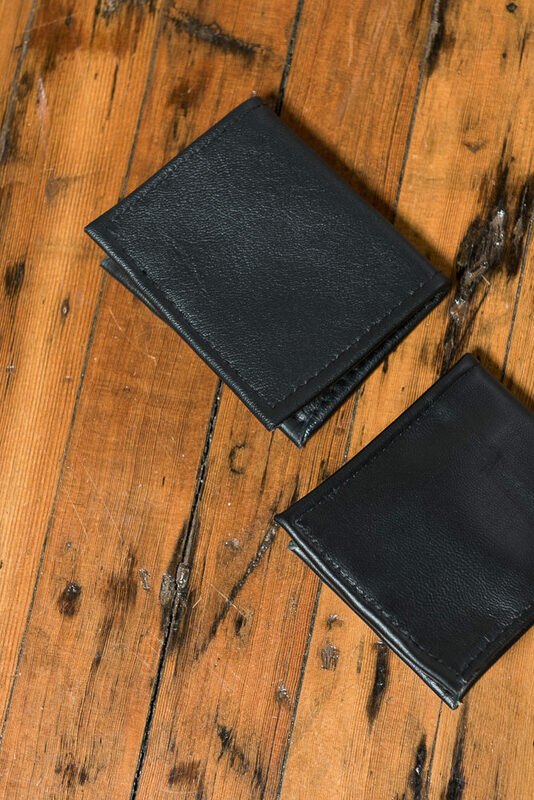 The Jr. is a small ‘bare-essentials’ wallet, for some cash and just a few cards. 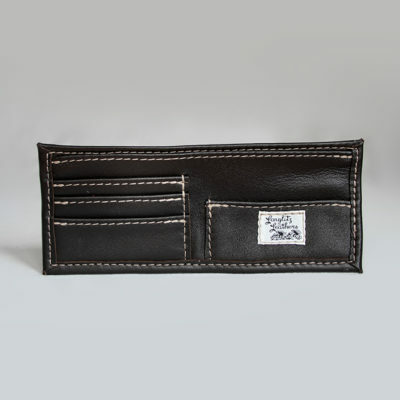 Perfect for your front pocket when out on the town, or in crowds. 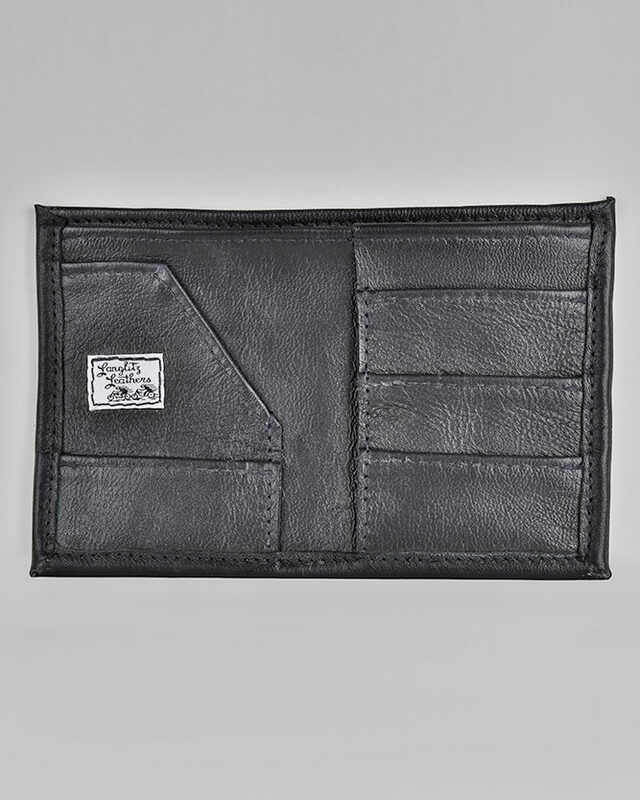 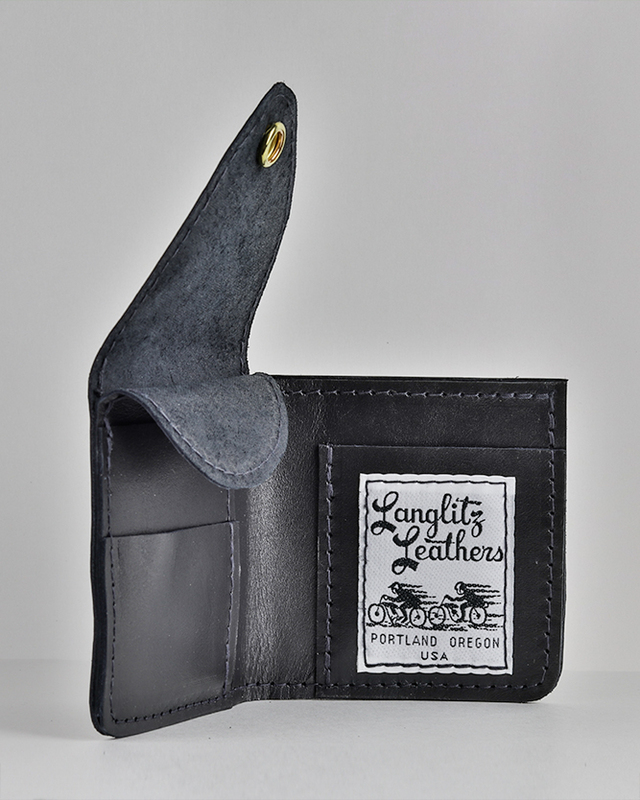 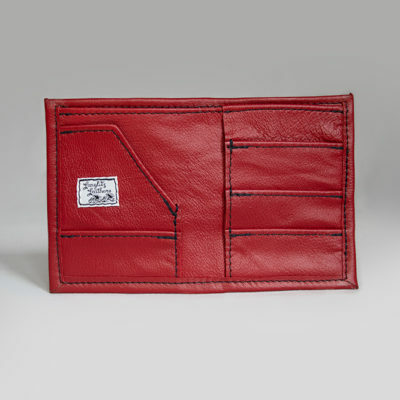 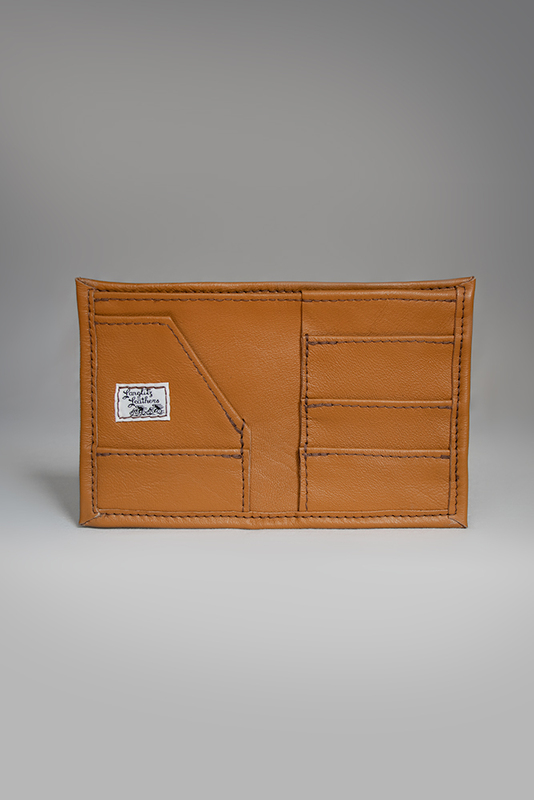 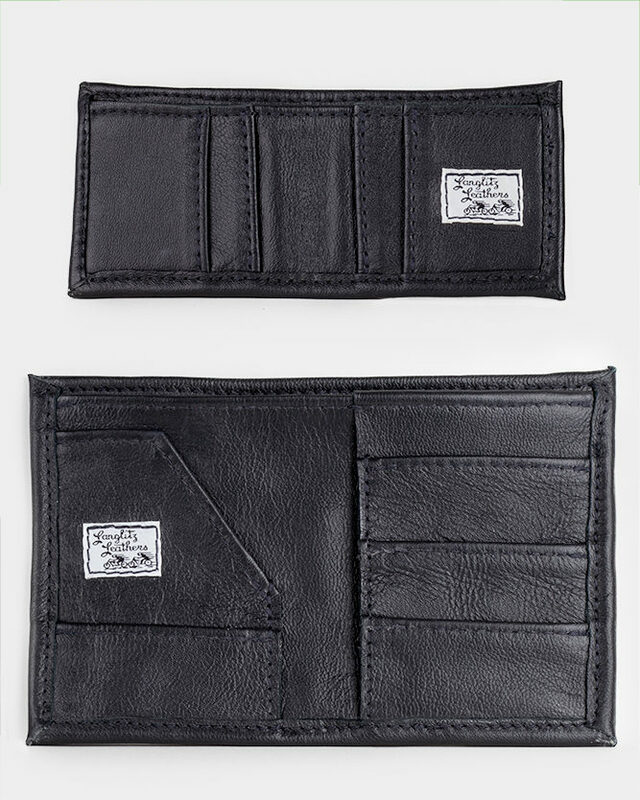 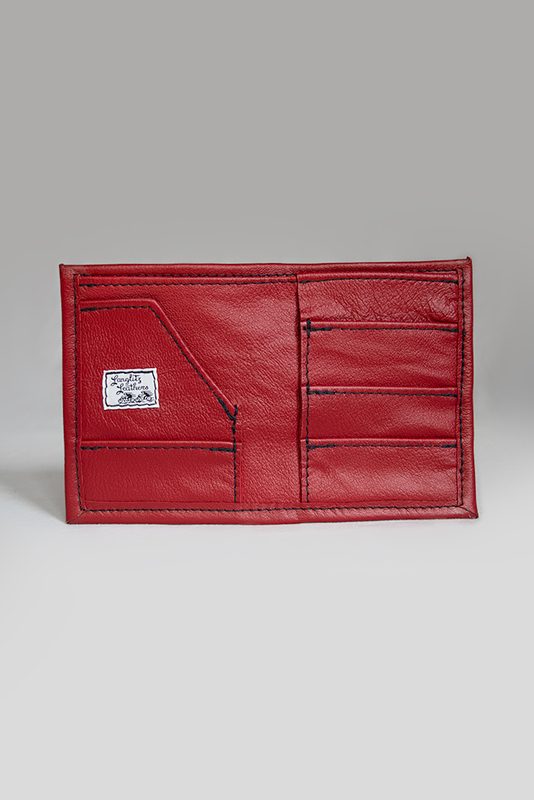 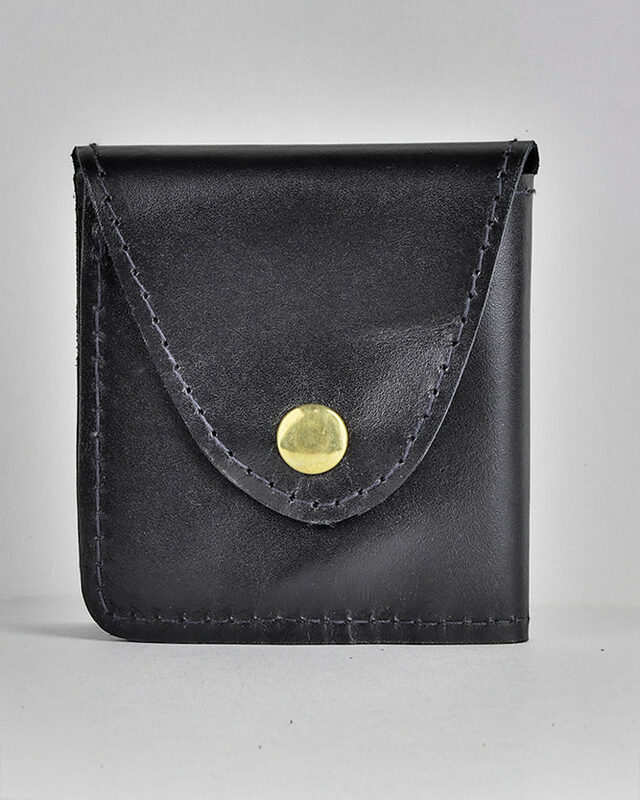 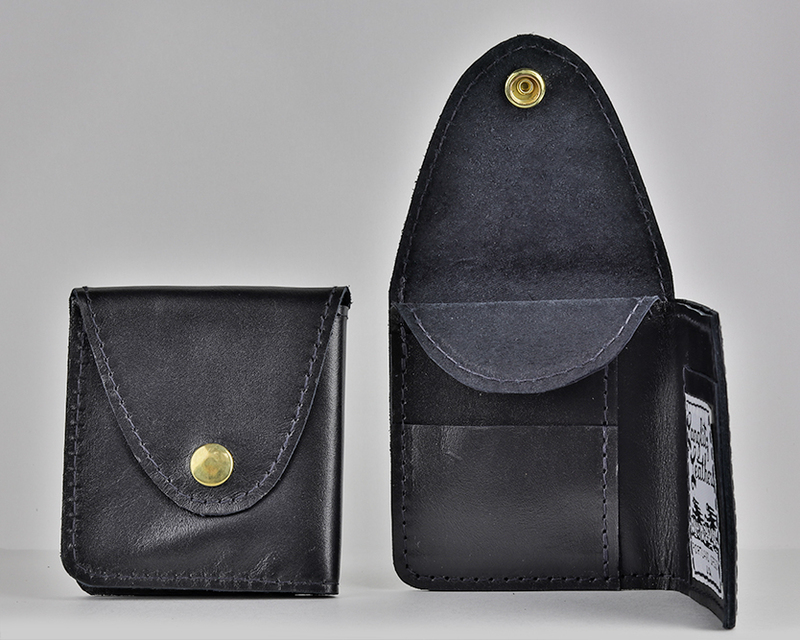 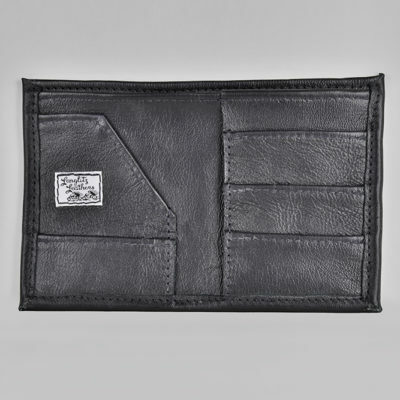 We also make a larger traveler’s wallet that will accommodate the usual items, plus your passport. 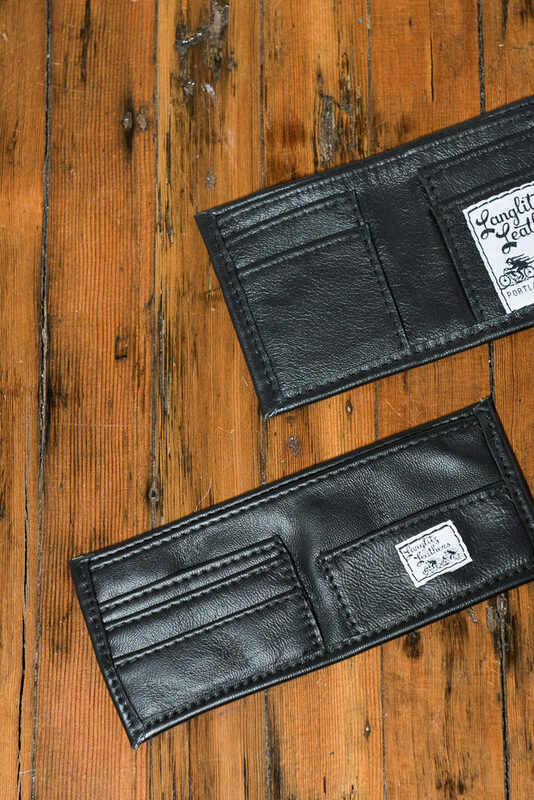 We also build a traditional biker/trucker chain wallet. 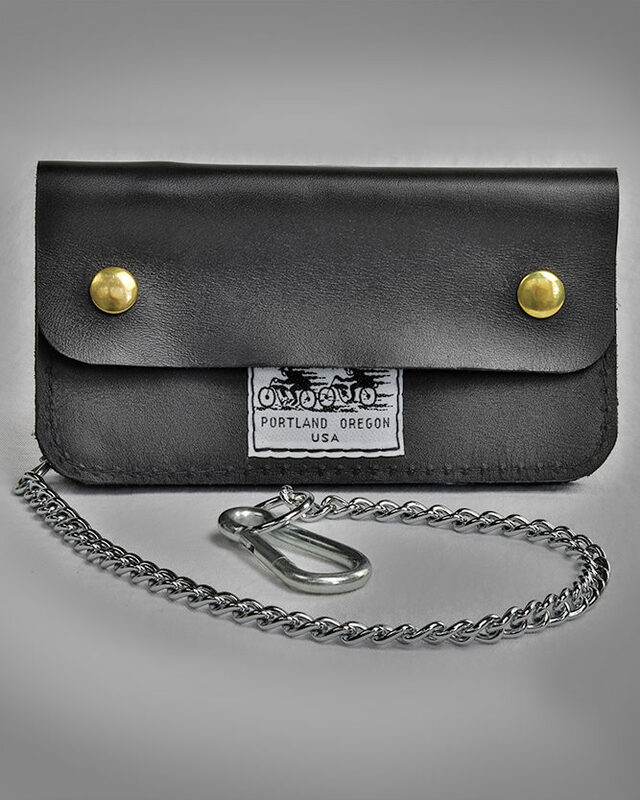 Made of our heaviest cowhide, you can choose brass or Silver hardware. 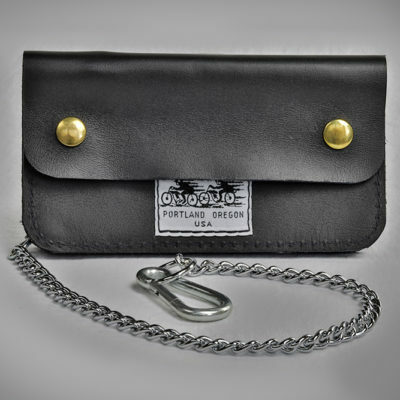 The chain is attached to the wallet through an eyelet for extra strength and security. 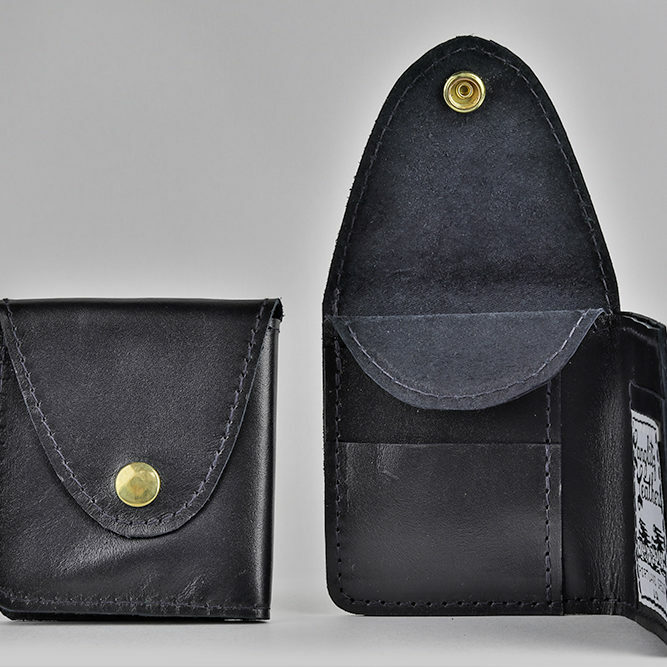 They have two open compartments and one zippered. 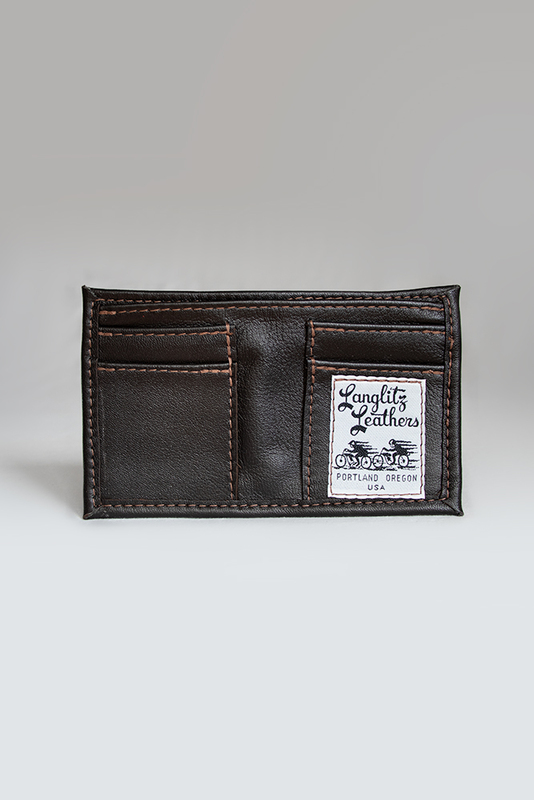 Black and brown are standard, but other colors of less rigid cowhide are available for a little more green. 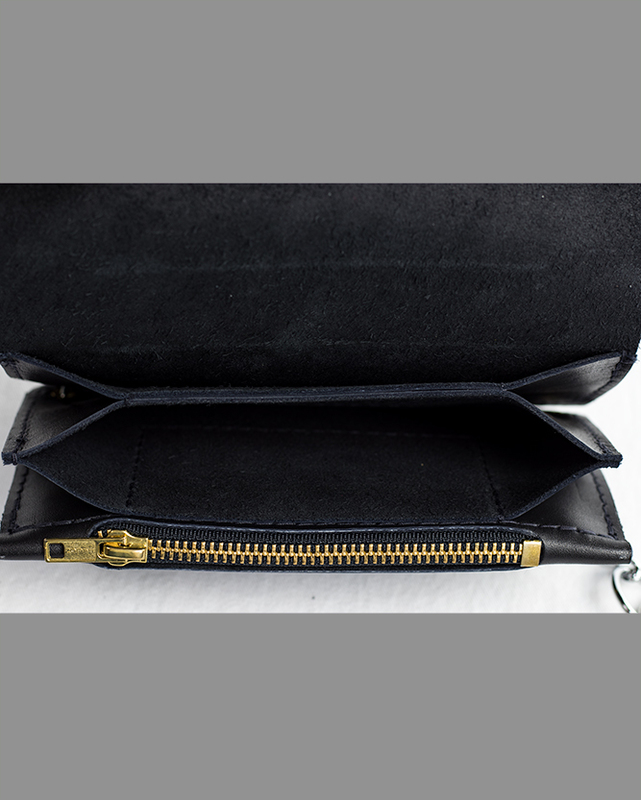 Different thread colors are a no-charge option.